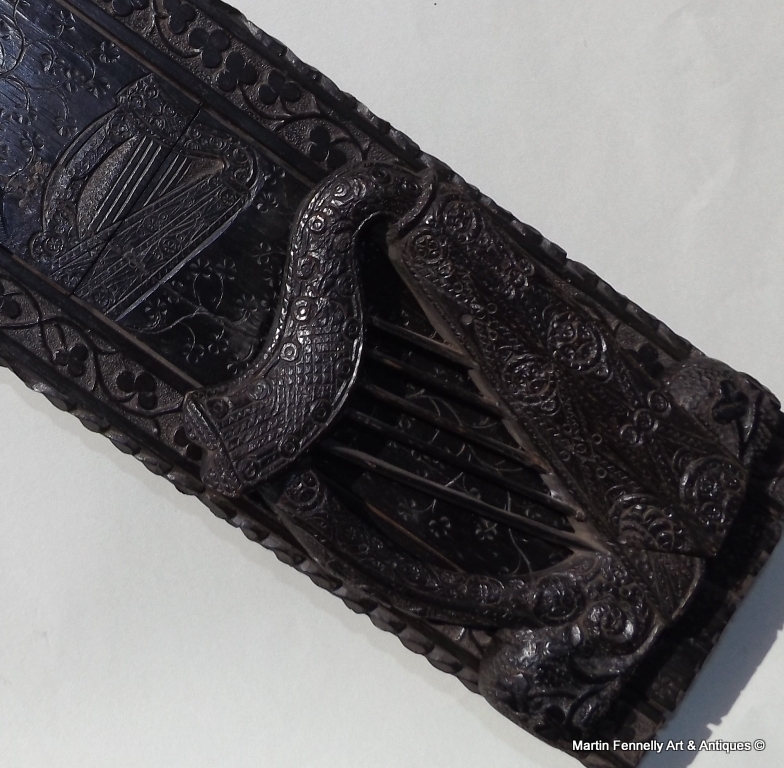 Rare Irish Hand Carved Bog Oak Book Slide of medium proportions, mid Nineteenth Century.The adjustable base with a central carving depicting an Irish Harp. 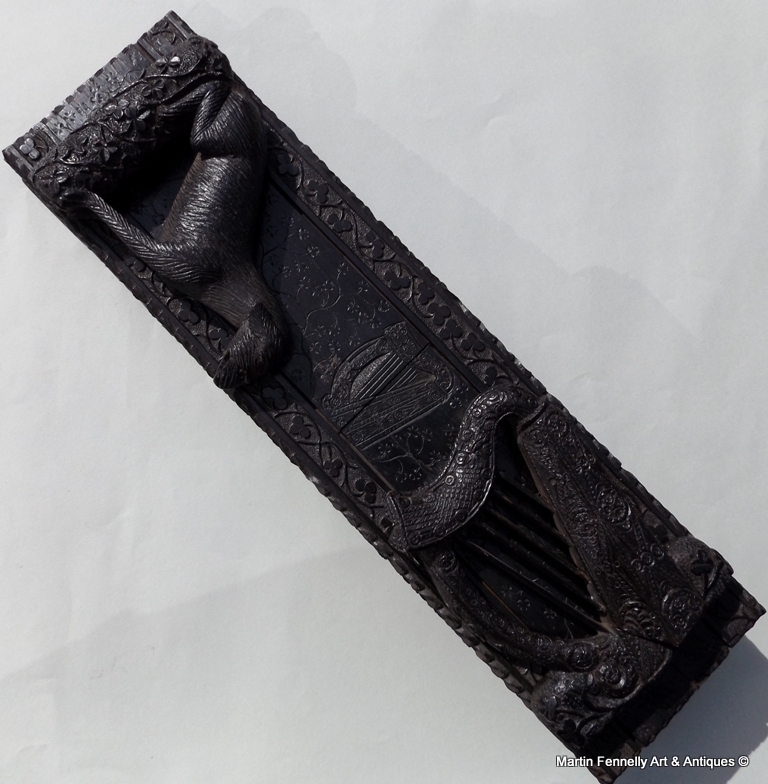 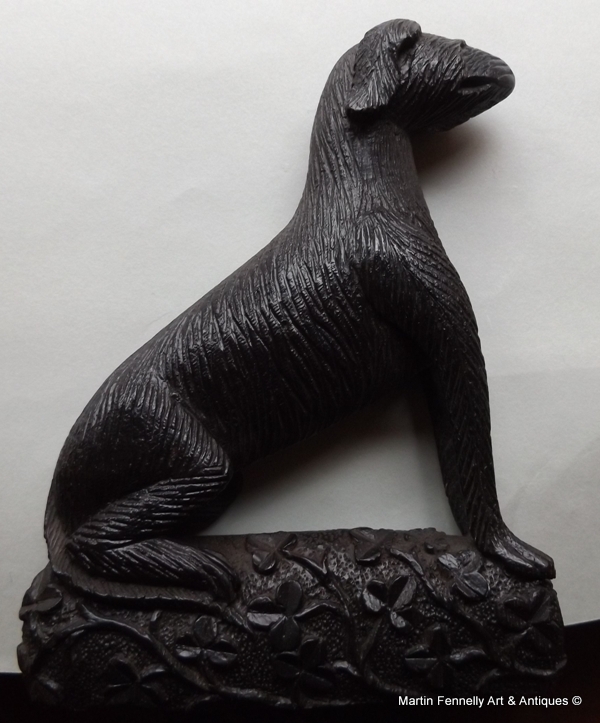 One hinged folding bog oak bookend is carved depicting an elaborately carved seated Irish Wolfhound.The other folding bookend is carved depicting an Irish Harp above a solid base with shamrocks. 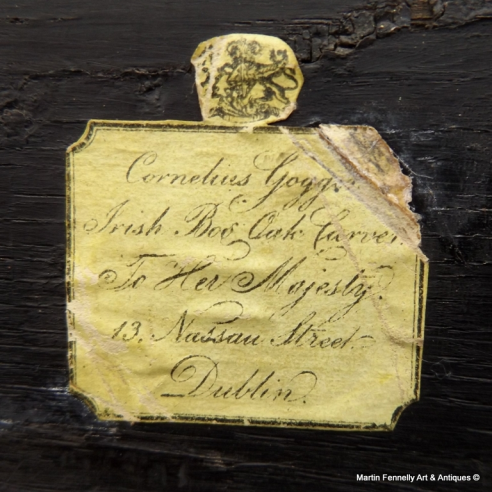 Paper label "Cornelius Goggin Irish Bog Oak Carver to Her Majesty. 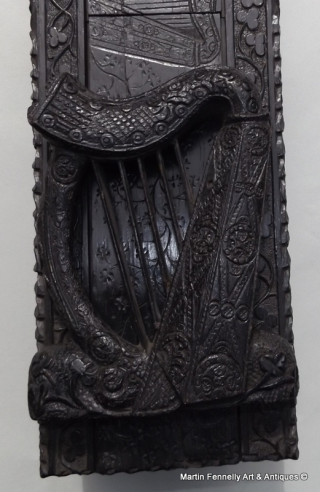 13 Nassau Street, Dublin" Condition: Good untouched condition with no losses to carvings, nice surface patination.